1. Boil and mash the potatoes. 2. Boil and chop the veggies finely. 3.Take a vessel and mix together all the veggies and the mashed potatoes along with all the spices and salt. 4.Once the paneer- veggie mixture is ready, shape them into oval cutlets. 5. 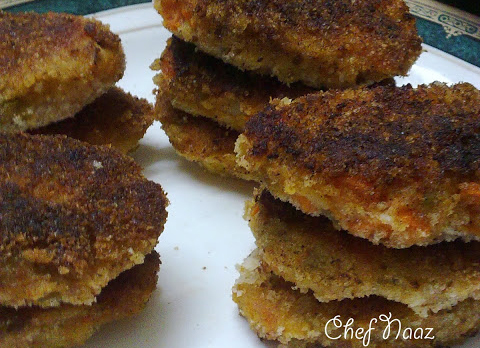 Heat oil in a pan and shallow fry the cutlets. Enjoy with tomato sauce or Mint chutney.